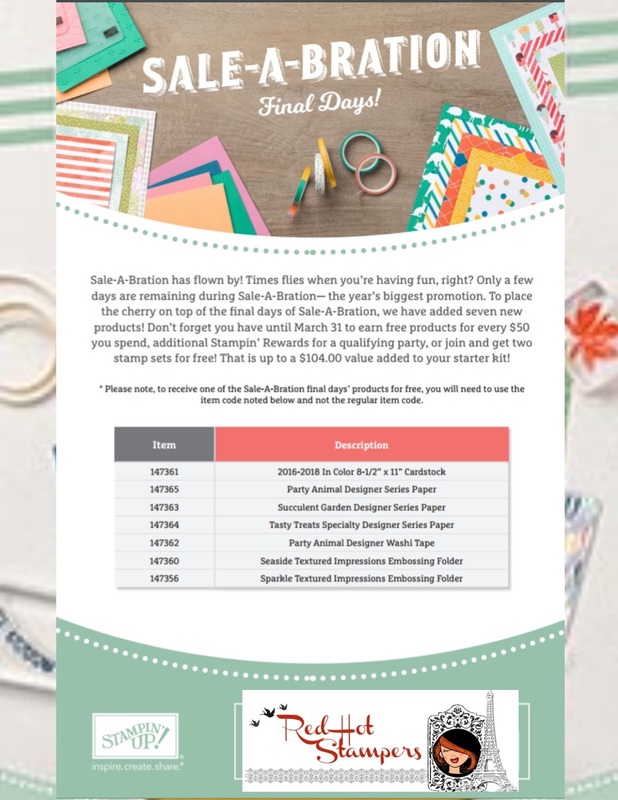 Red Hot Stampers: 7 NEW Sale-a-Bration Items!!! WOW!!! As if Sale-a-Bration wasn't already amazing enough, there are now 7 MORE free items to choose from!!! Be sure when ordering to use the above item numbers if you want the item for free! Also, use hostess code EAZDNXMC and I will send you a free gift with your $50 purchase! Thank you! Here is a closer look at the 7 items being offered!